At least 20 people have been killed and 165 others injured when a tsunami hit beaches around Sunda Strait in Indonesia on Saturday night, the government’s Disaster Mitigation Agency says. The cause of the surge of water is yet to be confirmed, however Disaster Mitigation Agency spokesman Sutopo Purwo Nugroho tweeted that it could have been related to the Krakatoa volcano. It is thought an eruption may have caused undersea landslides, displacing a large volume of sea water. 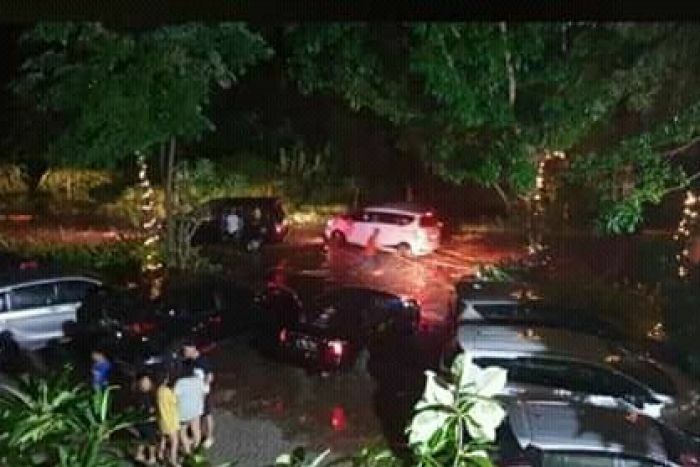 Mr Nugroho posted video of the aftermath on Twitter, with the vision depicting an overturned car and knee-deep water flooding the streets. Dozens of buildings were damaged by the water. Yes your leg is broken, but do you really need an ambulance?